Bring your family and friends to the Alumni Fan Zone and cheer on the SAIT Trojans! Your alumni all-access pass gets you tickets to three Trojans games, meal voucher (hot dog, pop, chips), parking pass and alumni swag. 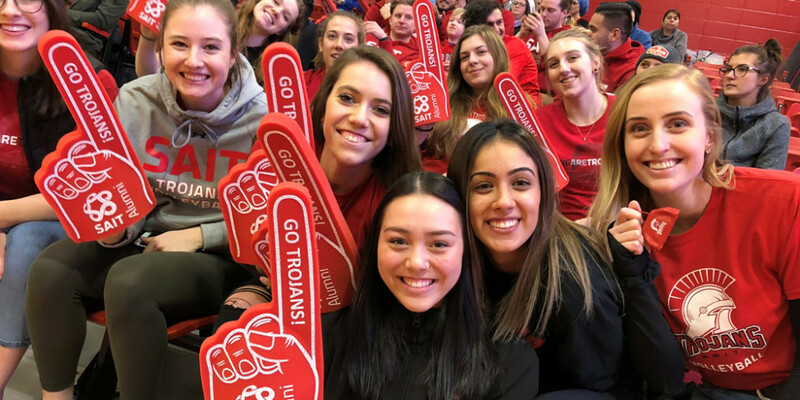 Wear red, show your SAIT pride and scream loud and proud as we cheer on our SAIT Trojans to victory!